Shelly lost her district 2017 election in a heart-breaking random draw. 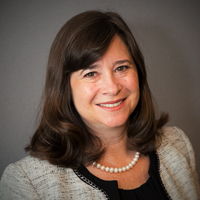 Shelly Simonds is an educator and a community leader in Newport News. A former teacher, Shelly is a member of the Newport News School Board with a passion for excellence in education. As a Delegate, Shelly will fight for higher teacher pay and pursue a bold agenda to fix our schools' crumbling infrastructure. She supports advancements in STEM curriculum, which will lead to better jobs and a well-trained workforce that is prepared for the opportunities and challenges of tomorrow. Issues listed above are based on text in the candidate's website. 2018: Kaine received 58% of the vote. 2017: Northam received 55% of the vote. 2016: Clinton received 49% of the vote.